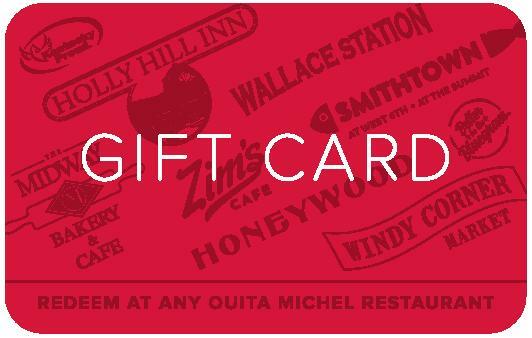 We welcome you to the Ouita Michel Family of Restaurants! Smithtown Seafood is in the Bread Box on West Sixth Street, in Lexington's hot Jefferson Street corridor, and now at The Summit at Fritz Farm. We make everything on the menu from scratch, and whenever possible, with locally raised ingredients. Our menu is both familiar and creative, emphasizing local foods and old-fashioned Kentucky recipes in dishes such as Beer Cheese with West Sixth Brewing Co.'s Smithtown Porter and wild-caught fried catfish, flavorful salads and ethnic seafood dishes, vegetarian specialties and much more. The West Sixth location also offers burgers from local beef and tilapia grown at neighboring FoodChain. Open 7 days a week. Glenn’s Creek Café's mission is to prepare tasty food that reflects all the distinctive flavors found in the Woodford Reserve flavor wheel. Chef Paul Hieb and his team take a creative approach to Kentucky cooking by combining international flavors with some of our local recipes. The staff uses as many local ingredients as possible in its scratch-made menu, including Stone Cross Farm pork, beef and chicken. "Glenn’s Creek is one of the most beautiful spots for lunch in Kentucky, and maybe the entire United States," owner/executive chef Ouita Michel said. "The visitor center dining area is sophisticated and warm, and in summery weather, guests can dine on the porch amid the storied magnificence of the Bluegrass." Honeywood is Ouita Michel’s largest restaurant, with table service, a stylish bar and food that is fresh, locally sourced when possible, and creatively prepared but with a strong nod to Kentucky’s food traditions. Inside Honeywood, locally crafted reclaimed-wood table tops and wood floors are juxtaposed with soaring windows. “As with all our restaurants, we want our neighbors to feel a true sense of welcome and to know how grateful we are for their support,” Michel said. Honeywood, at The Summit at Fritz Farm in Lexington, was recently mentioned in the Zagat Guide article, "30 Most Exciting Food Cities in America 2017." Honeywood is open 7 days a week. Now open! We’ve thrown open the doors to the brand new Zim’s Cafe and The Thirsty Fox at Zim’s Cafe in downtown Lexington! Kentucky restaurateur Ouita Michel created a full-service restaurant and bar with the finest Kentucky bourbons in the historic former Fayette County Courthouse. Find several of your Windy Corner Market and Wallace Station favorites on the Zim’s Cafe menu, as well as espresso drinks and desserts from The Midway Bakery. Welcome to Zim’s! Zim's Cafe is open 7 a.m. to 9 p.m, 7 days a week. The Thirsty Fox is open 11 a.m. to 11 p.m. daily.